Margaret Mullin and Steven Loch in Balanchine's "Emeralds." Lindsay Thomas, Courtesy PNB. Pacific Northwest Ballet soloist Margaret Mullin will never forget one of her first big breaks as a young company member: a debut as Bluebird in The Sleeping Beauty alongside Jerome Tisserand. At the time, she recalls, PNB was auditioning different conductors, so she hadn't had much time to get to know who would be leading the orchestra. They talked to the conductor about the coda's tempo, "because we both liked it really slow," she says. "That night, however, he ended up doing the polar opposite. It was the fastest I'd ever heard the music, and I couldn't finish the turns." While Mullin may never understand what got lost in translation, she knows the tempo mix-up wasn't an attempt to throw her off her game. In fact, conductors and dancers are working towards the same goal: to present the best performance possible. "Music and dance are so intertwined," says Ming Luke, a conductor who frequently works with San Francisco Ballet and Boston Ballet, among other companies. "We all want to create a performance that inspires the audience." Still, it can be quite daunting to approach any member of the musical staff—and how do you know if or when you should? Pointe spoke with two conductors to find out what they want dancers to know. 1. Live music sounds different from a recording. Hearing the orchestra for the first time can be jarring, especially if the score is one that you've heard a million times on a recording or from the rehearsal pianist. Mullin's advice? Get used to it. PNB's musical director and principal conductor Emil de Cou agrees. "When you've been listening to music in earbuds," he says, "suddenly hearing a 64-piece orchestra play Romeo and Juliet will be different—but a good different. You'll feel the energy, and it'll sound better than any recording—passionate, energetic, alive. You can't replicate that." "We love it when dancers talk to us," says Luke. "It's great to hear if you love how something is sounding, or if something should be heavier. Some dancers might be hesitant to make requests because they don't want to step on any toes or they're afraid of coming off as diva-like." At PNB, de Cou believes an open-door policy is best. "I want to break down any barrier between the dancers and the orchestra," he says. 3. …but go through the proper channels. In almost all cases, you should first relay any musical concerns to the ballet master, who'll then communicate with the director or choreographer and conductor. But in a frantic rehearsal process, Mullin says, it can be up to you to politely advocate for your needs. If you're unsure about approaching the conductor directly, ask a veteran dancer for advice, since the chain of command can vary between companies. Keep in mind that a conductor is likely getting musical requests from all sides. "Sometimes it feels like I have nine different bosses," jokes Luke. "There's a ballet master in charge of the corps, another who's in charge of soloists and principals, a choreographer, an artistic director, a violin soloist—everyone is bending your ear. In the end, though, there is a hierarchy, and I'll ultimately follow the choreographer or artistic director." De Cou learned this lesson early on at American Ballet Theatre: "The company was performing a Twyla Tharp piece, and after one rehearsal, Cynthia Gregory approached me about taking a tricky part slightly slower. I was pretty starstruck; it was Cynthia Gregory—a total goddess—so I'd do anything she said! But after our next rehearsal, Twyla found me and ripped into me for changing the tempo." "Misunderstandings may happen," says Luke. To ease some of the frustration, let the conductor know what you're trying to achieve. "Why is something 'too fast'? Did you not have enough time to get to a first step, so everything afterwards is rushed? Or maybe you want to make sure each position is seen clearly before moving to the next, or you need more suspension. It helps to know the 'why,' so we can fit the music to your intention." De Cou encourages dancers to attend orchestra rehearsals if it fits into their schedules. "It helps to hear how the music comes together," he says. "You can see how each score gets dissected." 5. We're there for you. 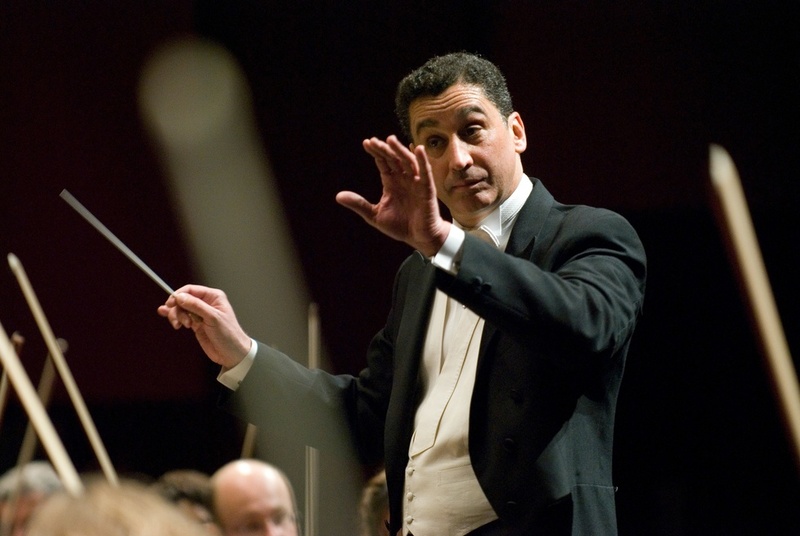 Over time, conductors will get to know dancers' preferences and performance qualities. "We'll know which dancer's adrenaline kicks in onstage, or who does the opposite," Luke says. "As conductor, you can react to those differences each night. Tempos can have micro-nuances. Part of the fun is having that flexibility to help create a musical performance that matches whoever is dancing. Otherwise you'd just stick on a recording and it falls flat." 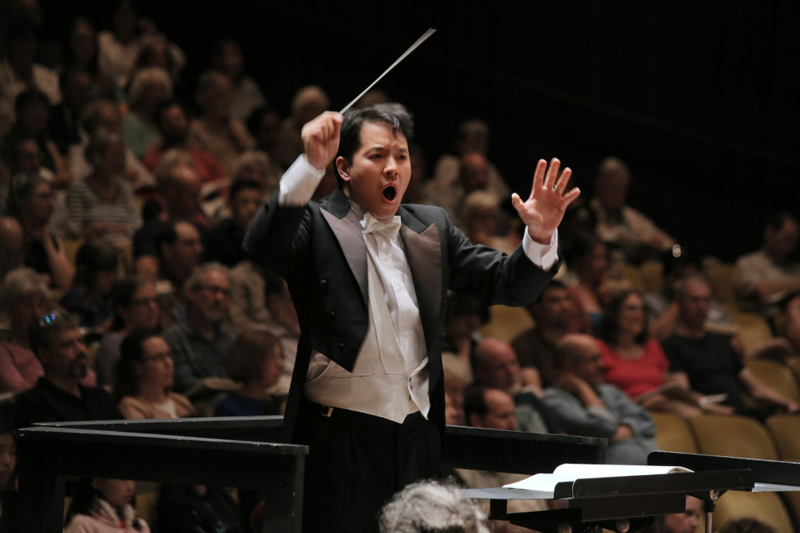 In essence, conductors have your back. "I like to check in with my dancers before each performance, to make sure everything is okay and to let them know I'm with them," says de Cou. "I want to make sure the dancer knows she has a friend in the pit."